February 21 found Silver Strings as a quartet at the Belle Meade Plantation playing for the nuptials of Becca and Stephen in the stable behind the carriage house. 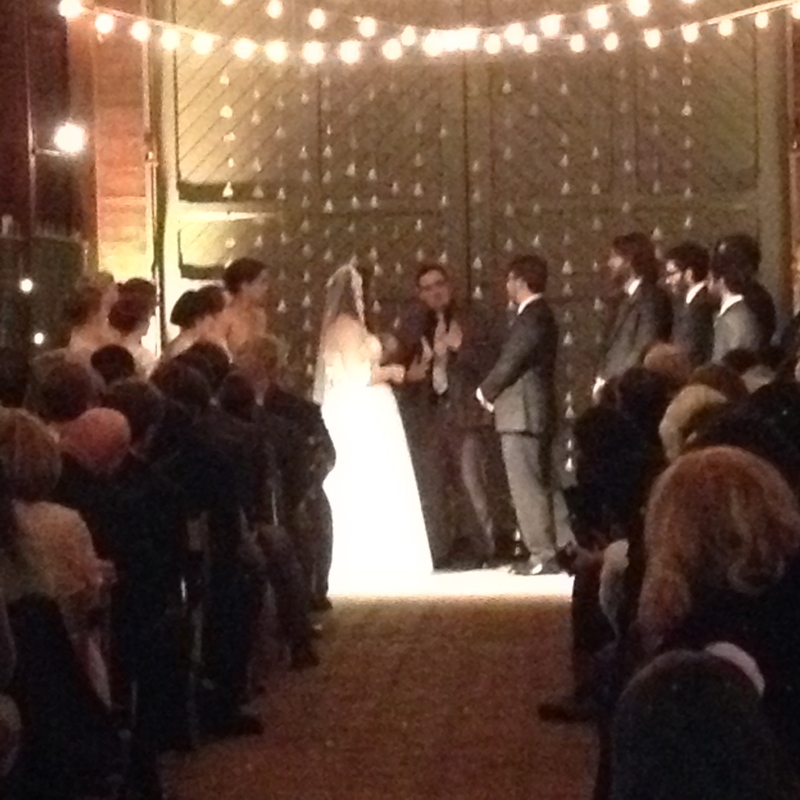 The stable was lit up with festive lights creating a warm glow over the scene of the impending vows. The rainy weather didn’t begin to dampen the spirits of the guests who were treated to the fun music, “Fare Thee Well” (Mumford and Isaac), for the entrance of the wedding party and the beautiful bride herself. At the end of the ceremony the newly minted Mr. and Mrs., along with the wedding party, recessed to “Home”, another fun tune by Ed Sharpe and the Magnetic Zeroes. Congratulations and best wishes to Becca and Stephen and their families!